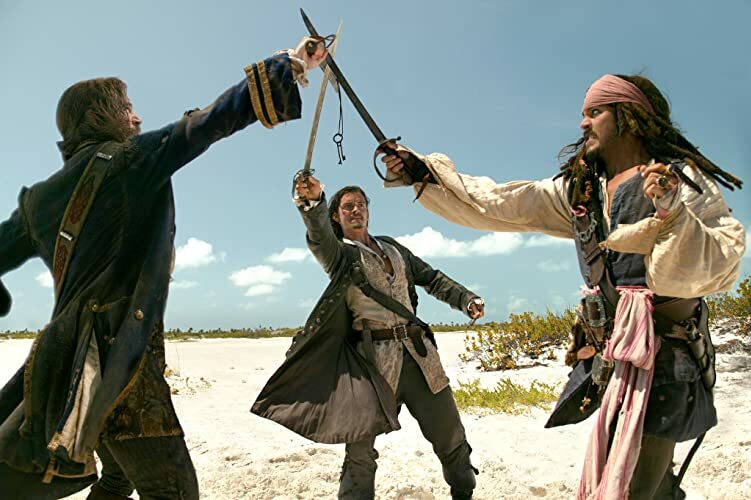 The first Pirates of the Caribbean was so much fun that a sequel felt inevitable. Like any sequel worth it’s (sea)salt, it develops the action, adds to the storylines and tries to outdo what has successfully gone before. Dead Man’s Chest manages to do all of this in a very successful way and it begins with a great central idea. 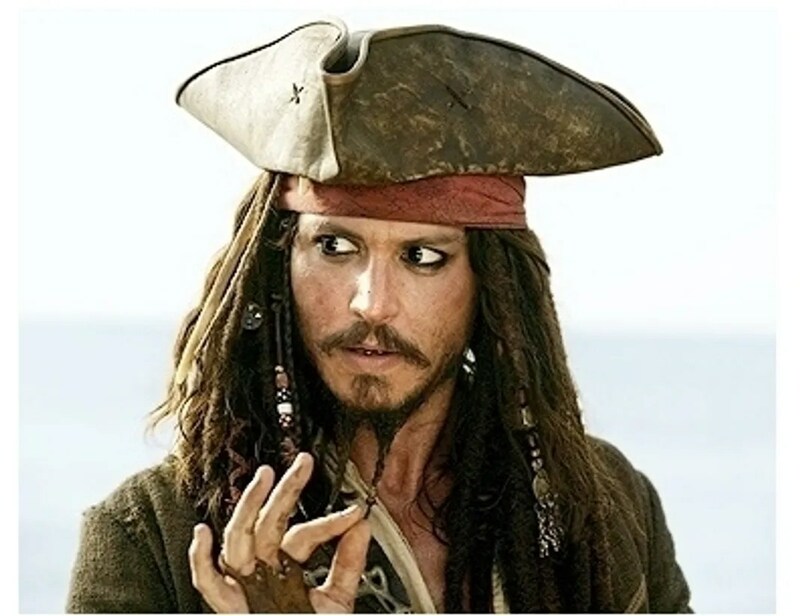 Johnny Depp’s Jack Sparrow was the surprise hit of the original so it makes sense that he is at the centre of this movie. Given the black spot to signify that his time is up and an old debt has been claimed, Depp must find a way to outwit and survive Davy Jones himself. Cue the most inventive aspect of the movie. Davy Jones is a creative masterpiece. A pirate turned into a marine-human cross, his tentacle-beard and fish mouth spit the orders and terrify the sailors as he claims souls for his locker. Bill Nighy is under the CGI and is a fantastic choice to bring this character to life. His fish-crew also improve on the living-dead that were the villains of the original and add real threat. The plot is much more complicated than just Depp running from his fate. Orlando Bloom and Kiera Knightley return and find themselves tied to the fate of Davy Jones and his ship The Flying Dutchman. This movie tries to develop their relationship further and add complications to the peace that saw the end of the last movie. It works to some effect but feels strained in places. Not that it matters as Depp’s Sparrow steals this film once again. Unlike the first, Dead Man’s Chest is well aware where the money is and this is clearly Depp’s film. He is on great form here and Sparrow is as charming a character as ever, bringing comedy and action in equal measure. That action is as inventive as ever. Pirates is best when it is swashbuckling and cannon-balls on the high-seas. Dead Man’s Chest has this in abundance, with one sword-fight on a rolling water wheel being the highlight of the movie. Add to this the fantastic score, which helps punctuate the action and you have an exciting fantasy movie. It is a shame then that it is forced into building towards the final movie in the trilogy. Making a movie a set-up rather than a stand-alone film to itself is always risky. For every Star Wars, you may get The Matrix and although the cliff-hanger here is good, it does leave you with a sense of emptiness as the great tale doesn’t have a proper conclusion. Overall, Pirates of the Caribbean: Dead Man’s Chest is a worthy sequel to the fantastic original. It has great action, impressive sword fights and bring back the excellent score. Depp shines as Sparrow but Nighy steals the movie as the scary Davy Jones. It is just a shame that this is a middle movie rather a complete story.